Stan Lee Super Hero- Excelsior! WITH GREAT POWER THERE MUST ALSO COME - - GREAT RESPONSIBILITY! We can show you how to. 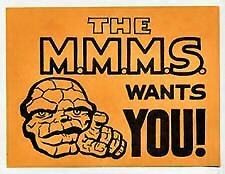 to the Merry Marvel Marching Society. 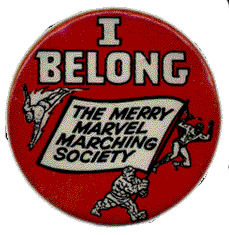 of the Merry Marvel Marching Society. Stan Lee is an American writer, editor, creator of comic book superheroes, and the former president and chairman of Marvel Comics. With several artist co-creators, most notably Jack Kirby and Steve Ditko, he co-created Spider-Man, the Fantastic Four, the X-Men, Iron Man, the Hulk, Daredevil, the Silver Surfer, Dr. Strange , and many other characters, introducing complex, naturalistic characters and a thoroughly shared universe into superhero comic books. He subsequently led the expansion of Marvel Comics from a small division of a publishing house to a large multimedia corporation. 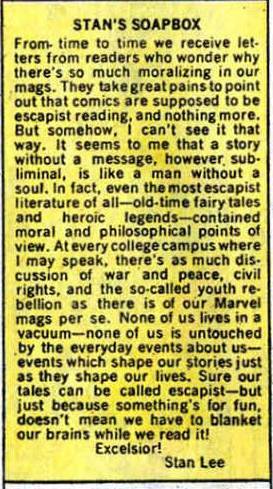 Stan Lee supported using comic books to provide some measure of social commentary about the real world, often dealing with racism and bigotry. 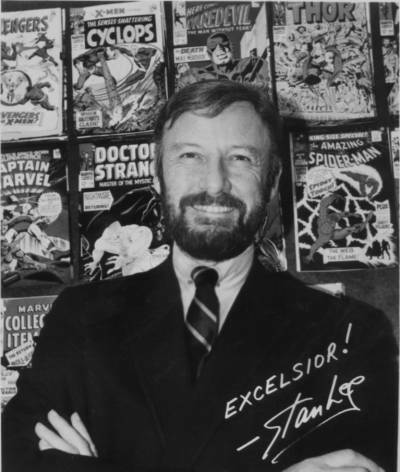 "Stan's Soapbox," besides promoting an upcoming comic book project, also addressed issues of discrimination, intolerance or prejudice. In addition, Lee took to using sophisticated vocabulary for the stories' dialogue to encourage readers to learn new words. Lee has justified this by saying, "If a kid has to go to a dictionary, that's not the worst thing that could happen." In 1971, Lee indirectly reformed the Comics Code. The US Department of Health, Education and Welfare asked Lee to write a story about the dangers of drugs and Lee wrote a story in which Spider-Man's best friend becomes addicted to pills. 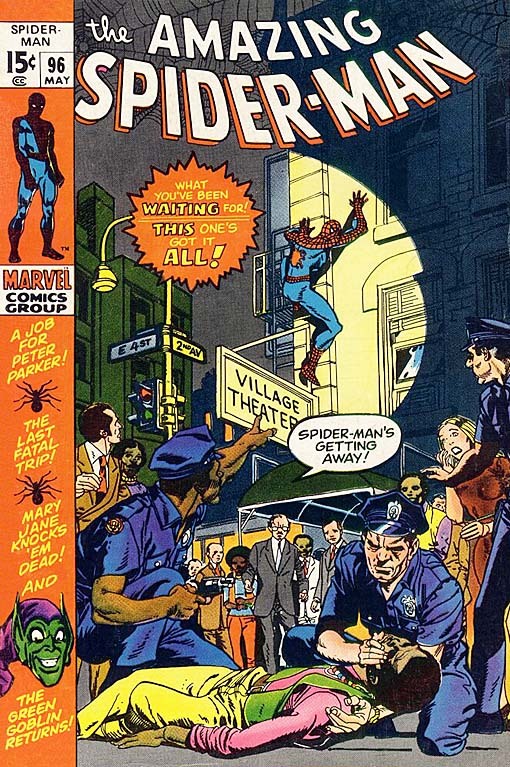 The three-part story was slated to be published in Amazing Spider-Man #96-98, but the Comics Code Authority refused it because it depicted drug use; the story context was considered irrelevant. With his publisher's approval, Lee published the comics without the CCA seal. 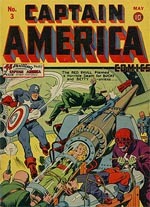 The comics sold well and Marvel won praise for its socially conscious efforts. The CCA subsequently loosened the Code to permit negative depictions of drugs, among other new freedoms. It was on December 28, 1922 at Ninety-Eighth Street and West End Avenue in New York City, that a child was born named Stanley Martin Lieber. That male child, born to proud and impoverished parents Jack and Celia Lieber, both Romanian immigrants, has gone on to impact the cultural lives of an entire planet. This family’s trials and tribulations in coming to America and raising their children through the Great Depression has truly been of great consequence. No matter how insignificant their efforts and hard work may have seemed at the time, they contributed to the development of a young boy, their son, who was able to grow up unhindered by suppressive constraints. Their loving, supportive upbringing was pivotal in the unbridling of Stanley’s imaginative and creative wizardry that has helped soften the harsh realities of life for generations of readers. Young Stanley was blessed with a mother who encouraged his reading and never thwarted her young son’s dreams and fantasies. Stanley’s father instilled in him a work ethic and from those early days Stanley formed the foundation that led to his ability to produce the volumes of inspirational and creative works that has impacted so many people throughout the world. Stan Lee’s driving creative force initiated Timely’s name change to Marvel Comics to represent the company’s new image as a whole new breed of Stan Lee characters began to emerge. In 1961 Martin Goodman began to lift his constraints over Stan Lee’s creativity and what ensued was a cast of characters and storylines that changed the world of narrative storytelling. 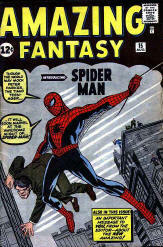 In November of 1961 Stan Lee wrote issue #1 of the Fantastic Four and what followed was revolutionary in the industry. The traditional overly simplistic characterizations and plots evolved with the Fantastic Four into complex personalities and character-driven stories. Stan Lee regarded Jack Kirby as one of the greatest visual storytellers of all time. Jack Kirby was the perfect match to illustrate the Fantastic Four, Stan Lee’s newly created characters that broke the mold of the stereotypical superheroes. The Fantastic Four had human frailties, complex personalities and they didn’t always get along with each other. 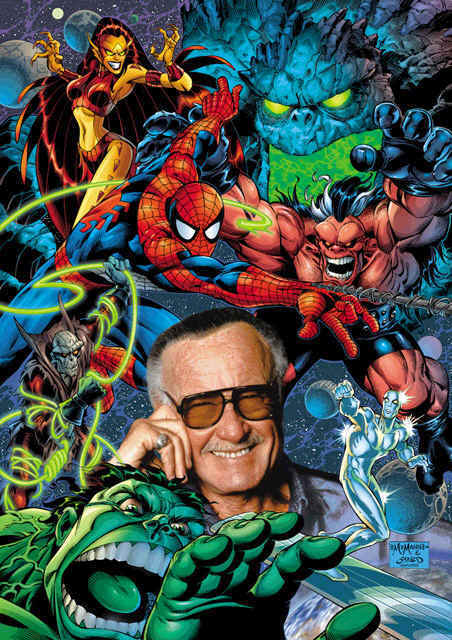 They were, as Stan Lee daringly called them, “The World’s Greatest Comic Magazine.” It was with the Fantastic Four that Stan Lee changed the entire superhero genre, skyrocketing the popularity of this new all-American art form. Sales soared and Marvel began to come of age. 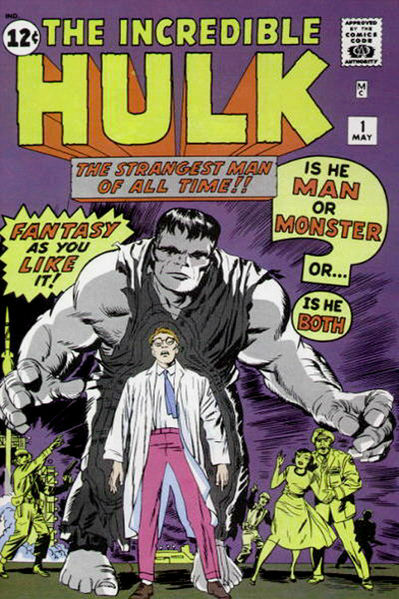 Stan Lee next went on to create the Hulk, who enjoyed an initial smashing metamorphosing success. Stan Lee’s creativity was in full bloom now and he marched Marvel on with yet another of his creations—Spider-Man. Stan Lee chose Steve Ditko to illustrate his new web slinging character and as Stan Lee’s words conveyed the drama of his entirely new type of super-hero, Steve Ditko’s artistry masterfully brought Spider-Man to life. Even then, Stan Lee could not have predicted the monumental success that Spider-Man would bring to Marvel Comics. 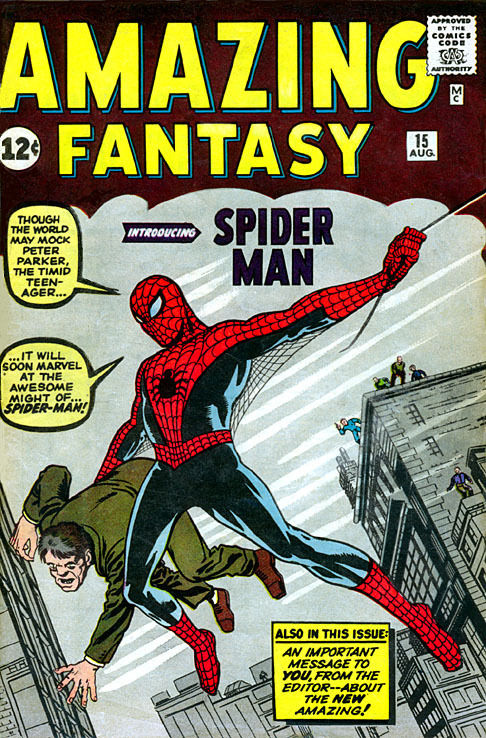 This was the start of Stan Lee’s “Marvel Age of Comics.” Spider-Man first went to print on a trial basis in the last issue of Amazing Fantasy in August of 1962. It took until March of 1963 before Marvel officially published Spider-Man as a regular feature. That year Marvel Comics exploded and sales of Marvel’s new gallery of superheroes almost doubled. Since that time, Spider-Man has gone on to become one of the most successful characters in comic book history and when Spider-Man graced the big screens of the motion picture industry, Spidey broke all time box office records. It is noteworthy to mention at this time, that although Stan Lee is renowned for all the lead characters he created, Stan “the Man” Lee also dreamed up hundreds of supporting characters, along with the many, many colorful villains we love to hate. How do you top the top of the industry? Well, Stan Lee— the production machine that he is— was on a roll and he once again turned to Jack Kirby to illustrate an entirely new set of Superheroes which Stan Lee had dreamed up, a group of mutants that become known as the X-Men. 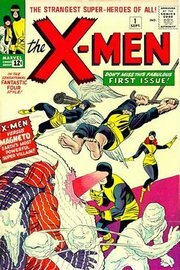 So Stan Lee, together with Jack Kirby’s magnificent and artistic delineations of each character, published The Uncanny X-Men issue #1. The X-Men series today is the best-selling group of comic books in the world. In the months that followed, Stan Lee, as Marvel’s head writer, editor, art director and top creative force, gifted the world with character after character, dazzling the reading public with the Avengers, Thor, Iron Man, Daredevil, Silver Surfer, S.H.I.E.L.D., Dr. Strange and hosts of other characters and stories that are too numerous to list in this short biography. Stan Lee started to be referred to as “Mr. Marvel” and became one of the most sought after speakers on college campuses throughout the U.S.A. and later the world. 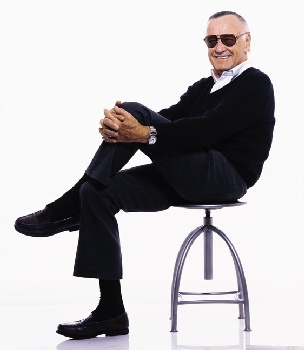 An article in Esquire magazine quoted students on campus as saying “We think of Stan Lee as today’s Homer.” Stan Lee has spoken in Japan, Italy, Canada, Germany, Poland, Spain, Denmark, France, Portugal, China, Mexico and at virtually every college and university in the United States, plus countless conventions and corporate events. 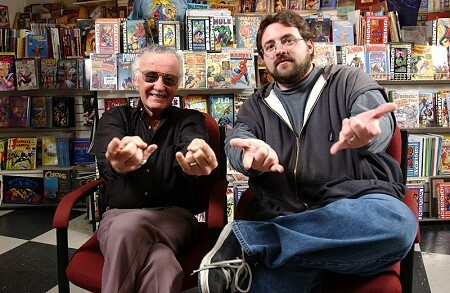 Stan Lee and Kevin Smith "Webslinging"
When Martin Goodman sold Marvel to Cadence Industries, the new management would not go through with the purchase unless Stan Lee came with the deal. Cadence management realized that it was Stan Lee’s amazing creativity, his rapport with his audience and his genius for promotion that had turned Marvel’s characters into pure gold, thus they made him an offer he couldn’t refuse. Stan Lee, who had always worked under a handshake agreement, for the first time was given an official contract with Marvel. Artists, writers, owners and management came and went throughout the years at Marvel but there was one force that remained constant and that was the creative force of Stan Lee. Even Jack Kirby left and went on to illustrate for DC Comics. Stan Lee later reunited with Jack Kirby on a project that Stan Lee had wanted to do for years, a novel-length version of Silver Surfer, one of Stan Lee’s favorite characters. 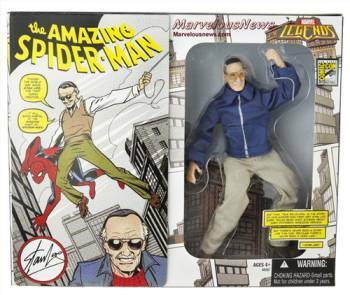 Stan Lee also branched out by creating and writing a syndicated Spider-Man newspaper comicstrip that started in 1977, appearing in newspapers around the world. As with everything Stan Lee does, the strip soon became the most popular, most successful and now the longest running strip featuring a superhero. Stan Lee still writes it today while his artist brother, Larry Lieber, does the penciling for the dailies. With Marvel running smoothly and profitably, the Stan Lee family moved out to the west coast and Stan Lee headed up Marvel Productions in Hollywood. Establishing Marvel’s presence in the film and television industry, he became the head of operations for Marvel’s newly organized Marvel Films. Stan Lee set in place the foundation that eventually took his superheroes to the Big Screen. As with every other creative endeavor Stan Lee has done, his creations have exploded to the top of the motion picture industry. Stan Lee is now regarded as one of Hollywood’s most distinguished icons, since films based on his creations have broken all time box office records. As Marvel began establishing its presence on the big screen, control and management changed again at Marvel and Stan Lee negotiated the right to go out on his own, while still maintaining his connection with Marvel as “Chairman Emeritus”. He is also executive producer of the many films that he helped set in place while at Marvel. Stan Lee moved on to form his own company, POW! Entertainment Inc. POW is an acronym, as you may already know, that stands for “Purveyors of Wonder.” POW! Entertainment Inc. already has some 40 movie, TV, DVD, video game and other projects in various stages of development and, since Stan Lee has always batted 1,000, we feel that the best of Stan Lee is yet to come. His new company has taken off with so much momentum that he recently took it public. Its symbol is POWN. Now any fan can be in partnership with Stan Lee by simply picking up some stock in his new company. Lee was producer and host of the reality-TV show Who Wants to Be a Superhero?, which premiered on the Sci Fi Channel July 27, 2006, and had its second season in summer, 2007. Born Stanley Martin Leiber on December 28, 1922 in New York City, New York, Stan Lee passed away November 12, 2018 at the age of 95 in Los Angeles, California. Many marvel at the man who gave his characters extraordinary powers and everyday headaches - a formula which revolutionised comics. The Hulk, Iron Man, Daredevil and the Fantastic Four all sprang from his fertile imagination and spilled onto the page. But while his career may have started in pen and ink, it grew and evolved into much more. From digital graphic novels to blockbuster Hollywood films; leading Marvel Comics from a small division of a publishing house to a large multimedia corporation; Stan Lee was prolific. Born in 1922 to poor working-class Jewish immigrants from Romania, Stan Lieberman got a job in Timely Publications - that would eventually become Marvel Comics - a company owned by a relative. He was assigned to the comics division and - thanks to the reach of his imagination - rose to editor by the age of 18. For more than 20 years, he was "the ultimate hack" - knocking out crime stories, horrors, westerns, anything to sate the appetite of his juvenile readership. Words of more than two syllables were discouraged. Characters were either all good or all bad, with no shades of grey. So embarrassed was Lieberman by much of what he was writing that he refused to put his real name on the by-line. He assumed the "dumb name", Stan Lee, which he later legally adopted. By the time he was 40, Lee had decided he was too old for the comic game. His British-born wife, Joan, suggested he had nothing to lose and, for his swansong, should write the kind of characters he really wanted to create. After a rival comic had come up with a superteam consisting of Batman, Superman and Wonder Woman, Timely needed to respond. Lee's answer, in 1961, was the Fantastic Four - a team of astronauts who gained super powers after being bombarded with cosmic rays. They were to change Lee's life, and the comics industry, forever. 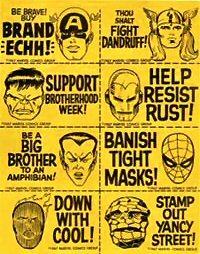 Lee gave each character individual, everyday teenage problems such as dandruff, ingrown toenails and acne. They would frequently fall out with their parents and each other. The fan letters poured in. Without immediately knowing it, Stan Lee had ushered in the golden age of comics, and his imagination was rekindled. His Marvel universe spawned the new title of Marvel Comics. Soon after, nerdy Peter Parker was transformed - after a bite from an irradiated spider - into someone who could crawl up the sides of New York's skyscrapers. Spider-Man was born. He was to become an icon of modern popular culture. Spidey, as he is affectionately known, had quite extraordinary powers - yet he had problems at work, at home and with his girlfriends. At last, the teenager was no longer just the sidekick, but the main hero. And the hero was no longer just brawn, he had brains too. "Just because he's a hero and has super powers doesn't mean he doesn't have problems," Stan Lee told the BBC. The Hulk, The Mighty Thor, Iron Man and the rest all grappled with problems like drug abuse, bigotry and social inequality. Radically, Lee gave the artists responsible for the comic designs credits for their work. Jack Kirby, Frank Miller, John Romitaand and others achieved cult status in their own right. Other superheroes broke new ground in other ways. Daredevil was blind, Black Panther was black and Silver Surfer pondered the state of humanity. Lee's influence remains. Some years ago the Marvel hero, Northstar, came out of the closet. 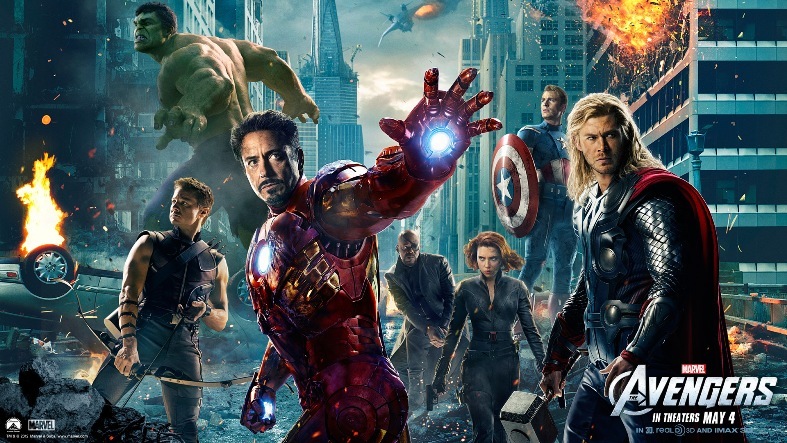 In its heyday, Marvel was selling 50 million copies a year. 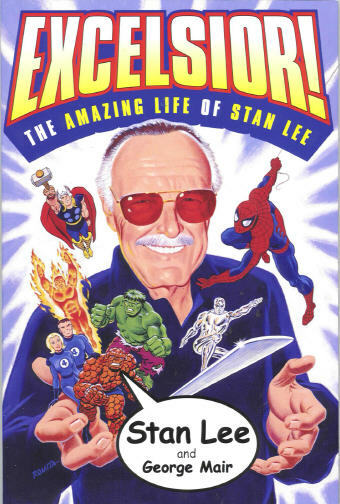 Until he retired from editing in 1971, Stan Lee wrote all the copy for Marvel's covers. In 1999, his Stan Lee Media venture, aimed at marrying comic-strips with the internet, went spectacularly wrong. Lee went bankrupt and his business partner landed in prison for fraud. In 2001 though, he started a new company entitled POW! (Purveyors of Wonder) Entertainment, which went on to develop films and TV programmes. His half-century-year-old creations are still as enduring as ever - with X-Men, Fantastic Four, Hulk, Daredevil, Iron Man and the Avengers all given the Hollywood treatment. Spider-Man was a huge box office hit, with the 2002 original and its 2004 sequel taking almost $1.6bn (£857m) in ticket sales around the world - before DVD and merchandise sales were counted. More recently the three Captain America films, starring Chris Evans, took $2.24bn at the worldwide box office. Robert Downey Jr's Iron Man pulled in $2.4bn. Marvel's appeal was unequivocal. And fans also delighted in seeing Lee's brief cameo appearances in almost every Marvel live-action movie. Lee also enjoyed success with graphic novels. In 2012 he co-wrote Romeo and Juliet: The War which landed on The New York Times' best-seller list and launched a YouTube channel, Stan Lee's World of Heroes. He introduced his digital graphic novel Stan Lee's God Woke at the 2016 Comic-Con. The print version won the 2017 Independent Publisher Book Awards' independent voice award. In later years he lamented his deteriorating eyesight, which meant he could no longer read the comic books where he made his name. He told the Radio Times in 2016 that he "missed reading 100%". And he also talked about what he considered to be the greatest superpower - luck. He said: "Every time I go to a comic book convention, at least one fan will ask me, 'What is the greatest superpower of all?' I always say that luck is the greatest superpower, because if you have good luck then everything goes your way."